No ride-hailing company has seriously addressed the real heart of the transportation problem: more trips, more miles, more greenhouse gases. Earlier this month, Lyft announced that all passenger rides will be carbon neutral, indefinitely. The plan is to cancel out vehicle emissions by investing in carbon offset projects, while eventually folding electric and autonomous vehicles into its fleet. The move bolsters the company&apos;s image as a greener, more socially conscious alternative to Uber, its major competitor, which has not made such a pledge. But any company that casts itself as a model of sustainability should draw extra scrutiny. There, it&apos;s not clear that Lyft—or Uber, or any ride-hailing company—stacks up as a good environmental citizen in the broader landscape of transportation, the sector that recently replaced power plants as the No. 1 source of United States carbon dioxide emissions. Both Uber and Lyft have repeatedly stated their intentions to vastly reduce private car ownership. 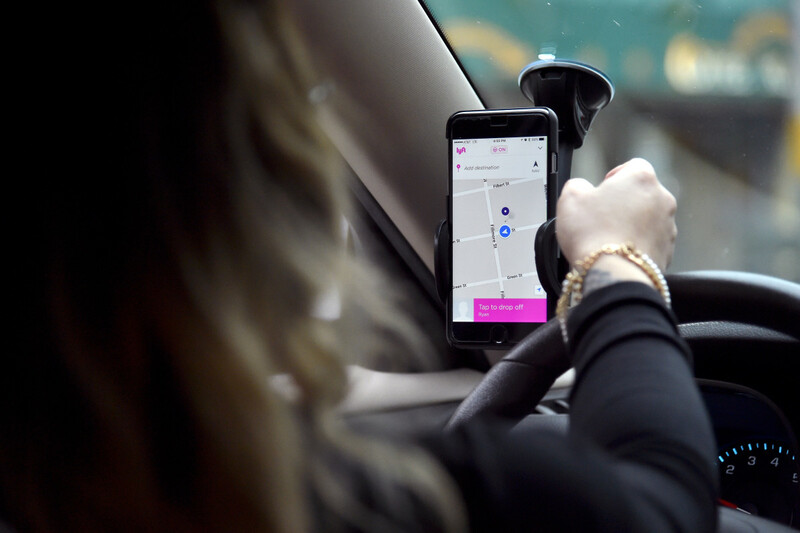 The underutilization of personal vehicles—the average car is used just 4 percent of the time—is "the heart of our transportation problem," Lyft co-founders John Zimmer and Logan Green wrote on the company&apos;s blog in June of 2017. By cramming in multiple passengers, they argued, ride-hailing can squeeze out more trips per car and keep cars in use more of the time. This underpins the company&apos;s stated plans to achieve carbon neutrality over time, since these trip savings "will dramatically accelerate the rollout of electric vehicles, displacing millions of gasoline-powered cars, and helping the United States and world reach their climate goals," Zimmer and Green wrote. Although it has piloted electric vehicle leasing programs in several global markets, Uber has staked its sustainability bona fides less on being emissions-neutral than Lyft has. But it, too, has emphasized the idea that displacing personal vehicles will aid the green cause. Its recent pivot to provide more bike-sharing, car-sharing, and transit-locating services on its app "is about scaling up alternatives that reduce personal vehicle use in cities," Andrew Salzberg, the head of transportation policy and research for Uber, told CityLab earlier this month. But is vehicle ownership really what counts when measuring the industry&apos;s environmental impact? Probably not, since car ownership isn&apos;t what produces emissions. It&apos;s using the car. "It doesn&apos;t matter who owns the vehicle," Clewlow told Wired last year. "It matters how many miles are driven on the road. So me swapping out a trip that I would have driven myself for a trip that I&apos;m riding in is still the same number of miles." And, she added, it could actually be more miles, since drivers also spend a lot of time traveling without any passengers in the car. Estimates from two of the largest markets in the U.S. give a sense of how many of these "deadhead" miles in between trips are being driven. In San Francisco, it&apos;s estimated that approximately 20 percent of the miles traveled by Uber and Lyft drivers are without passengers. 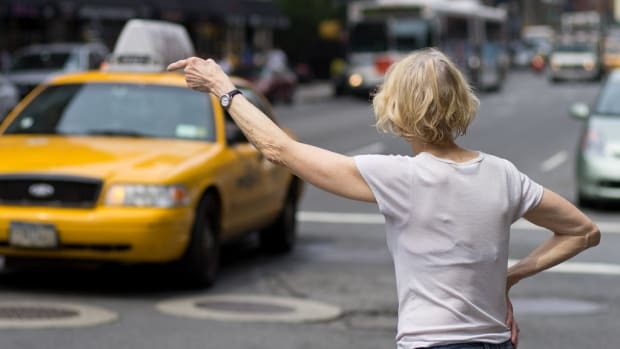 In New York City, deadheading accounts for an estimated 50 percent of the 600 million miles that transportation network companies (or TNCs, as they&apos;re called in policy and academic literature) have added to the roads since 2013. That mean more emissions from empty Ubers and Lyfts, plus their drag on other cars that burn extra gas and generate more fumes as they all sit in worsened traffic. 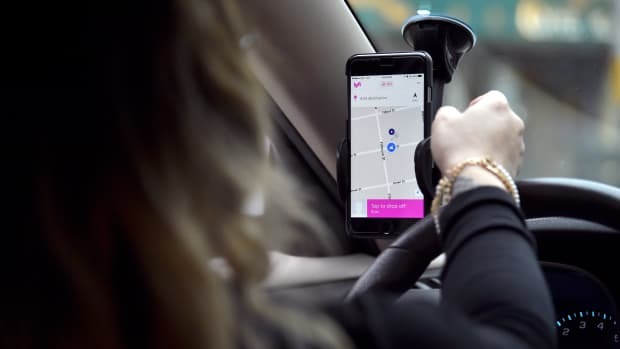 The carbon offsets that Lyft is purchasing don&apos;t cover those miles that drivers aren&apos;t either on the way to pick up passengers or taking them to their destinations, according to Lyft spokesperson Scott Corriel. He explained that any time outside of passenger pick-up and drop-off is time "a driver could be doing anything, including not driving." More broadly, neither Lyft nor any other ride-hailing company has seriously addressed the real heart of the transportation problem, to which they seem to be meaningfully contributing: more trips, more miles, more greenhouse gases. 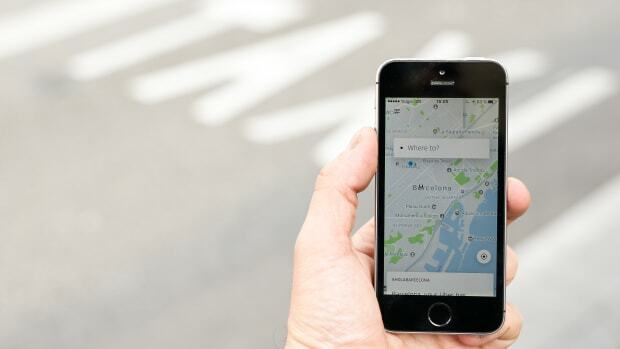 Yes, the science is still imprecise: Ride-hailing is a new and rapidly changing industry, and measuring every on-demand trip that might have been otherwise made by car, bike, or bus is extremely hard to do. But the studies analyzing the effects of these TNCs on urban environments so far seem to show more damage than healing. Last fall, in a major survey of seven U.S. cities, the University of California–Davis transportation researcher Regina Clewlow found that Uber, Lyft, and similar on-demand services were replacing trips that might have been made by transit, walking, or biking, suggesting that ride-hailing is contributing more vehicle miles traveled (VMT) than it reduces. Localized studies in New York, San Francisco, Boston, Chicago, and beyond point to similar conclusions, and a coming report by the National Resources Defense Council and University of California–Berkeley researchers that studies TNC trip data is rumored to as well. Offsetting some of the pollution created by ride-hailing vehicles on the road does not change the fundamental dynamics of this market. Without serious policy interventions, demand for cheap, convenient rides is likely to grow if vehicles become more automated and potentially less costly to operate, and congestion is likely to worsen. Still, at current EV adoption rates, it will be a very long time indeed before every vehicle on the road is electric and not streaming tailpipe emissions as it moves and idles in traffic. At the end of the day, there is no mode nearly as friendly to the planet as walking, and after that biking, and after that sharing a vehicle with dozens of other people (i.e., a bus), not two or three. In that context, carbon offsets arguably "become noise in the discussion we&apos;re trying to have about how [TNCs] contribute to the overall function of cities," said Bruce Schaller, a transportation consultant and former NYC DOT official whose research on the impacts of Uber and Lyft in New York City is widely cited. "The conversation is principally about greenhouse gases, and now they&apos;ve changed the conversation." Maybe it&apos;s unfair to pick on the ride-hailing industry. Vehicle miles traveled are rising across the U.S. for all kinds of reasons, and ride-hailing still makes up a very small portion of the U.S.&apos;s overall VMT—somewhere between 1 and 2 percent, according to Coriell (though other estimates suggest it&apos;s larger). And both Uber and Lyft say that their industry&apos;s transformation of the transportation landscape is just beginning. There is evidence that a very small number of ride-hailing customers have given up their personal cars after adopting the "shared" approach to mobility, and who are, as a result, traveling fewer miles in a vehicle. This is good news for the planet, and for Uber and Lyft. "If we want to reduce VMTs, we need to focus on the 80 percent of people who are driving themselves alone in their personal car," Coriell wrote in an email. Perhaps Uber&apos;s foray into biking and transit access will so dramatically scale up demand for a fully car-free lifestyle that the fossil fuels its drivers are burning now will ultimately be neutralized. "The way we think of it is in terms of people miles traveled, not vehicle miles traveled," said Adam Gromis, a manager of sustainability and environmental policy at Uber. "We want to maximize people movement while reducing vehicle movement, over time." But the planet can&apos;t wait forever. As long as Uber and Lyft are offering cheap, convenient access to the backseat of a gas-powered car, it&apos;s hard to see how demand, and the probable contributions to VMT, will decline. After all, growth is their prerogative. This is where public policies and regulations come in. Supporting public transit so that it can be competitive to ride-hailing is probably essential. Reshaping streets so that buses and other more carbon-efficient modes are prioritized may be too. A better understanding of the impacts of on-demand transportation is probably called for: with the exception of a few local studies, the public has little idea of how many miles these cars are driving. Laws that require companies to share data could be designed so that, for example, deadhead miles can be accounted for and dealt with. Lawmakers and conscientious consumers can celebrate carbon offset pledges and bike-friendly pivots by TNCs. But they shouldn&apos;t be distracted by them. In every part of the transportation industry, environmental commitments could go much further. To ensure that ridehailing firms fulfill their promises, users will have to push. Can Uber and Lyft Move Cities Toward a More Sustainable Future? Both companies have made big commitments to prove their eco-friendliness, but there's still debate over whether they will put the environment ahead of their bottom lines. Could a Female-Only Ride-Hailing App Actually Work in Mexico? 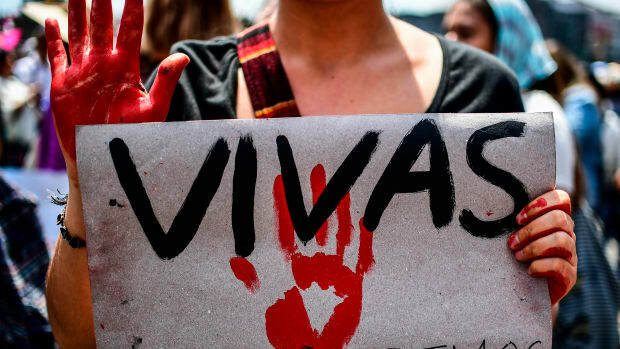 After a Cabify driver was accused of murdering a college student near Puebla, Mexico, appetite for an "Uber for women" continues to grow. For many drivers and riders, the convenience that ride-sharing offers is simply too tough to pass up. Can Uber and Lyft Become Wheelchair Accessible? A cap on ride-sharing companies in New York includes one important caveat: They're welcome to add as many wheelchair-accessible vehicles as they like. New research finds the ride-sharing service is more of a complement to public transportation than a substitute. 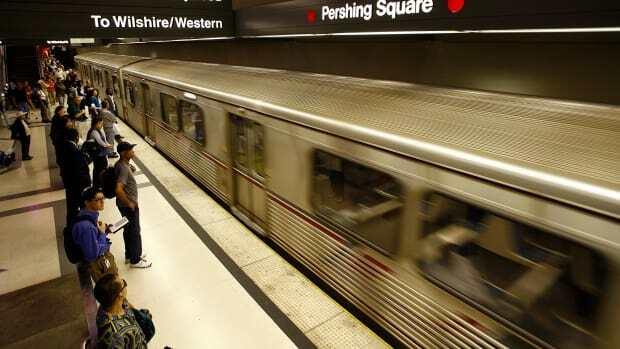 New research in Los Angeles shows that people support expanded transit options based on party affiliation and frustration with congestion—but not to ride it themselves.